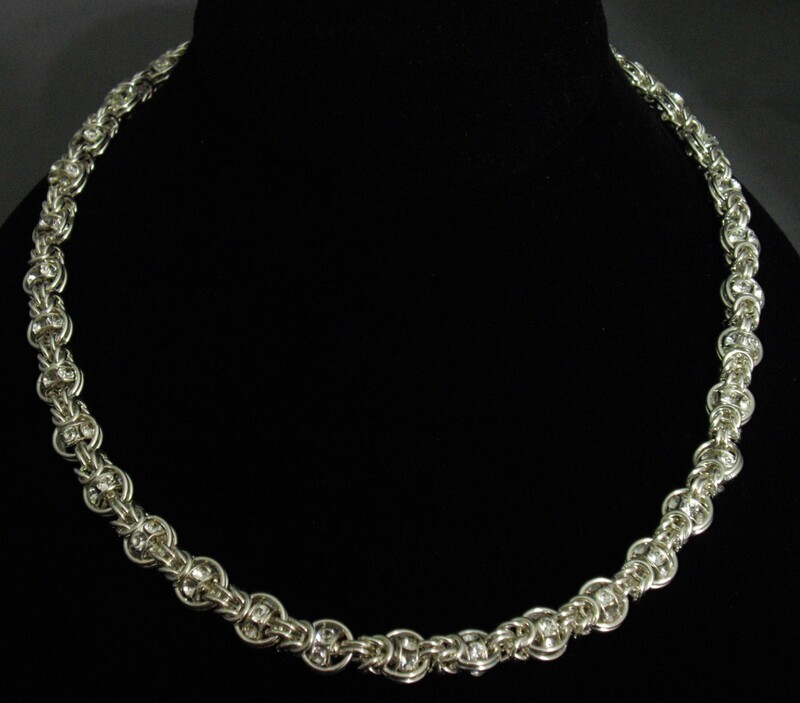 The Dreaming in Maille Necklace is magnificent. The use of crystal rondelles looks outstanding, but you could substitue with other stone rondelles or round beads. The necklace is 16 inches that is adjustable to 20 inches in length. There is a matching bracelet and earrings in the bracelet kit and earring kit section of the website. The kit includes the rondelles and sterling silver or gold filled balloon clasp. It is a beginner weave that also includes some beading techniques.